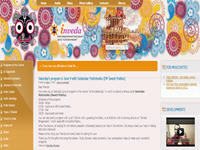 The official website of ISKCON Moscow – Sri Jagannath Mandir, Russia. Sri Sri Gaura Nitai and Sri Jagannatha Baladeva Subhadra are the presiding deities. Category Russia June 12, 2012 by ISKCON Desire Tree.